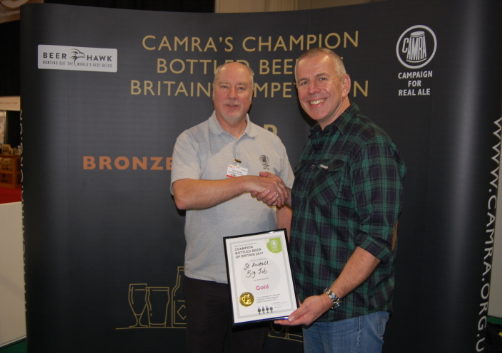 This year’s Champion Bottled Beer of Britain award went to Big Job from St Austell Brewery. At 7.2% ABV, Big Job is powerfully hoppy with both citra and centennial hops, and jammed full of Cornish barley. With a smooth, citrus fruit taste and a hoppy, lemon smell, it is anything but subtle. Runners up include Fullers’ Vintage Ale which took home silver and Oakham’s Green Devil IPA which won Bronze. The judging and announcement took place at the BBC Good Food Show at the Birmingham NEC, following a series of local member voting rounds and regional judging competitions throughout the year. Visitors to the BBC Good Food Show have the opportunity to sample the winning beer along with other finalists at a number of tutored beer tasting events run by famous beer writers as part of the Great British Beer Experience.